The press release "Oracle Code One Java Keynote Outlines the Future of Java" describes the Java Keynote at Oracle Code "highlight[ing] future projects" Project Valhalla, Project Panama, Project Amber, and Project Loom. This post provides brief summaries of each of these projects and some recent work associated with each of these projects for those who may not be familiar with the mentioned projects. Project Panama is about "Interconnecting JVM and native code." Its introduction states, "We are improving and enriching the connections between the Java TM virtual machine and well-defined but 'foreign' (non-Java) APIs, including many interfaces commonly used by C programmers." Build 0 (2018/10/24) of the Project Panama Early-Access Builds was released recently. As with other OpenJDK-related early access builds, this build is "intended for expert users" and "is provided as a convenience so that they don't need to build from the source code." One of its most significant issues to be aware of is, "Windows support not available." The Project Loom page describes Loom: "The goal of this Project is to explore and incubate Java VM features and APIs built on top of them for the implementation of lightweight user-mode threads (fibers), delimited continuations (of some form), and related features, such as explicit tail-call." The Project Loom proposal (titled "Project Loom: Fibers and Continuations for the Java Virtual Machine") begins, "Project Loom's mission is to make it easier to write, debug, profile and maintain concurrent applications meeting today's requirements." The message "Kick off meeting for Project Loom" on the OpenJDK loom-dev mailing list states that "Project Loom has been up and running here for number of months doing some early exploration and prototyping of both delimited continuations and fibers." That message talks about expanding that effort with kick-off meeting and provides links to the aforementioned Project Loom Proposal and to the YouTube-hosted presentation "Project Loom with Ron Pressler and Alan Bateman." The Project Amber page describes its goal "to explore and incubate smaller, productivity-oriented Java language features that have been accepted as candidate JEPs under the OpenJDK JEP process." There are some exciting features being explored via this project including Pattern Matching (JEP 305), Switch Expressions (JEP 325), Raw String Literals (JEP 326), Concise Method Bodies (draft JEP), and faster String.format and Objects.hash methods [JDK-8205637 ("Optimized invocation of String::format and Objects::hash")]. The list of JEPs just mentioned are evidence of the significant work underway on Amber. All of these projects propose exciting additions to Java, but the one I'm most excited about is Project Valhalla and its Value Objects/Types (JEP 169). The Project Valhalla page describes this project's goal "to provide a venue to explore and incubate advanced Java VM and Language feature candidates." Looking ahead, our next target is L2 -- which will capture the choices we've made so far, provide a useful test bed for doing library experiments, and set the stage for drilling into the remaining open questions between here and L10. L10 is our target for a first preview, which should support value types and erased generics over values. Another recent interesting Goetz message on the valhalla-spec experts mailing list is "Values and erased generics," in which Goetz provides a "a summary of the story we came up with for erased generics over values" that "builds on the typing story outlined in John's 'Q-Types in L-World' writeup." The title of that referenced John Rose writeup is currently, "Q-Types in L-World 10: Valhalla Working Group, Burlington, September 2018." A revision of proposed JVM specification changes for LW2 was announced earlier this month as well. The amount of work being done related to Project Valhalla is made clear in the number of messages on the mailing list about this project. These include those previously mentioned as well as others such as "var, static factory method and value type constructor"; "Value types, encapsulation, and uninitialized values"; and "Array covariance". "[LW100] Specialized generics -- translation and binary compatibility issues"
"Challenges of evolving a class to be any-generic, while interacting with existing erased code." "[LW100] Specialized generics -- migration"
"Stories we cooked up for migration." "[LW100] Specialized generics -- user model issues"
"User model and source compatibility of migrating existing libraries"
"If we expect values to 'work like an int', then |==| comparisons on value types should work like they do on primitives..."
The OpenJDK valhalla-dev mailing list message "Valhalla project repository status: Branched off 'LW1' in preparation for 'LW2'" announces the creation of the "lw1" branch. It's not surprising that these four projects were mentioned at Oracle Code One's Java Keynote. 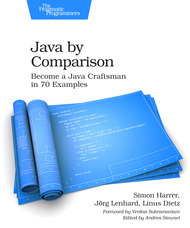 They cover many of the features to look forward to in Java's future. Oracle Corporation completed the process of acquiring Sun Microsystems nearly nine years ago. That was big news then and similarly big news was announced today: IBM and Red Hat have agreed to IBM's acquisition of Red Hat. The main IBM page announces "IBM to acquire Red Hat." It then states, "This changes everything." It is likely that this announced acquisition is going to leave many Java developers wondering what kinds of changes are coming to the Java ecosystem. Since Oracle's acquisition of Sun Microsystems, Oracle has eliminated multiple products that were formerly competitive products. For example Oracle still has its JDeveloper IDE, but has provided NetBeans (acquired from Sun) to Apache Software Foundation. Oracle has also dropped commercial support for Sun-acquired GlassFish while retaining its WebLogic Java EE application server. I, of course, have no idea what will happen to the products and tools available to Java developers as currently provided by IBM and Red Hat. However, there are some obvious overlaps that come to mind from this $34 billion (USD) acquisition. Both IBM's version and Red Hat's version of the acquisition press release (which share much of the same wording) state, "With this acquisition, IBM will remain committed to Red Hat's open governance, open source contributions, participation in the open source community and development model, and fostering its widespread developer ecosystem." Perhaps even more encouraging, the press releases also state, "Upon closing of the acquisition, Red Hat will join IBM's Hybrid Cloud team as a distinct unit, preserving the independence and neutrality of Red Hat's open source development heritage and commitment, current product portfolio and go-to-market strategy, and unique development culture. ... IBM intends to maintain Red Hat's headquarters, facilities, brands and practices." Both IBM and Red Hat are significant contributors to OpenJDK and to Java in general. Therefore, it should not be surprising if Java developers wonder how this acquisition will affect these two organizations' respective contributions. At the very least, I image the question "Why choose JBoss Enterprise Middleware over IBM WebSphere?" likely won't remain on the JBoss page after this acquisition. There has been significant news related to JDK 12 in recent days. JDK 12 Early Access Build 14 (2018/10/4) was released today. The release notes indicate that the fix for JDK-8210692 ["The 'com.sun.awt.SecurityWarning' class can be dropped"] is a significant part of this build. The class com.sun.awt.SecurityWarning, deprecated for removal with JDK 11, has now been removed altogether. Other links of interest related to OpenJDK 12 Early Access Build 12 include "Changes in this build" and "Issues addressed in this build". This build also includes, of course, the preview features switch expressions (JEP 325) and raw string literals (JEP 326) that I have blogged on previously. In a third consecutive message on the OpenJDK jdk-dev mailing list, Reinhold announced in the message "Proposed schedule for JDK 12" that the proposed schedule for JDK 12 has been approved. General Availability of JDK 12 is currently planned for 19 March 2019. As of this writing, there are now four JEPs targeted for JDK: JEP 325, JEP 326, JEP 340, and JEP 341.